Ready for W’s art new section? Instead of saying ready, set, go, it’s better to say Ready, Saks, Go! And we explain you why. 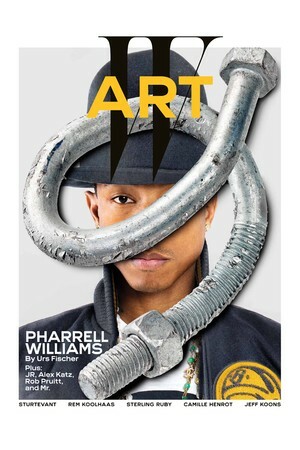 W Magazine and Saks Fifth Avenue agreed in a partnership for an 88-page special section with stories about artists and original art created for the issue, called W: Art. Thank God for this collaboration, sponsorship, because fashion and art go so well together, and it’s true that we can note some lack of art on fashion magazines nowadays. With Saks as the only sponsor, this new special section will be polybagged for subscribers with the June/July issue of W.